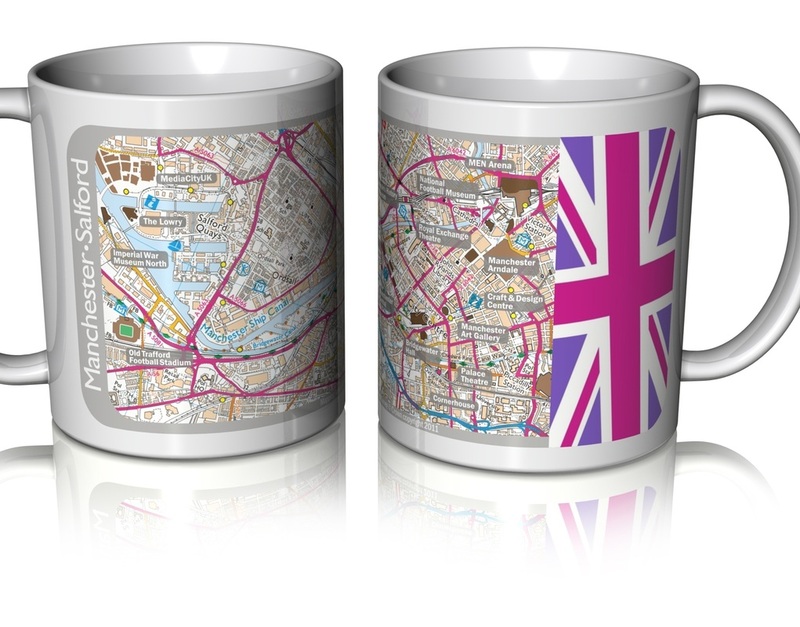 High quality ceramic mug with map design featuring all major Roman sites and roads as well as modern settlements. 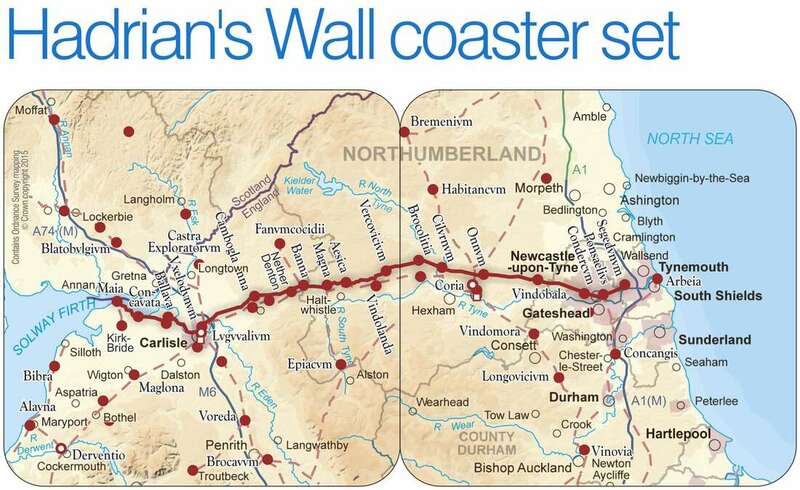 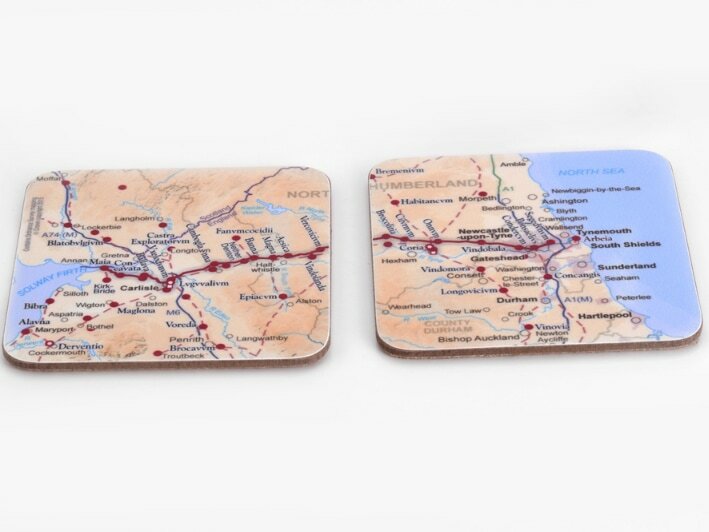 Pair of cork backed melamine faced coasters with map design featuring all major Roman sites and roads as well as modern settlements. 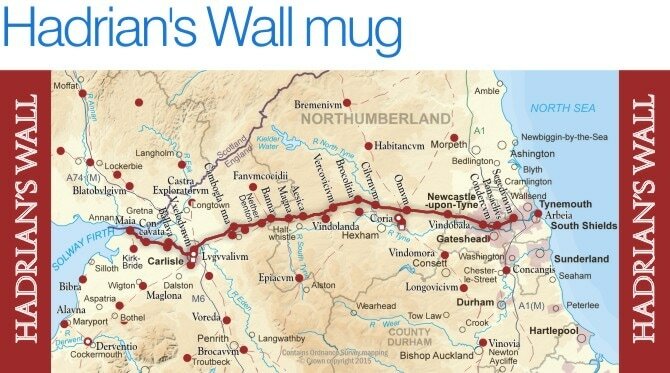 Aluminium water bottle including Carabiner plus Sports cap with map design featuring all major Roman sites and roads as well as modern settlements. 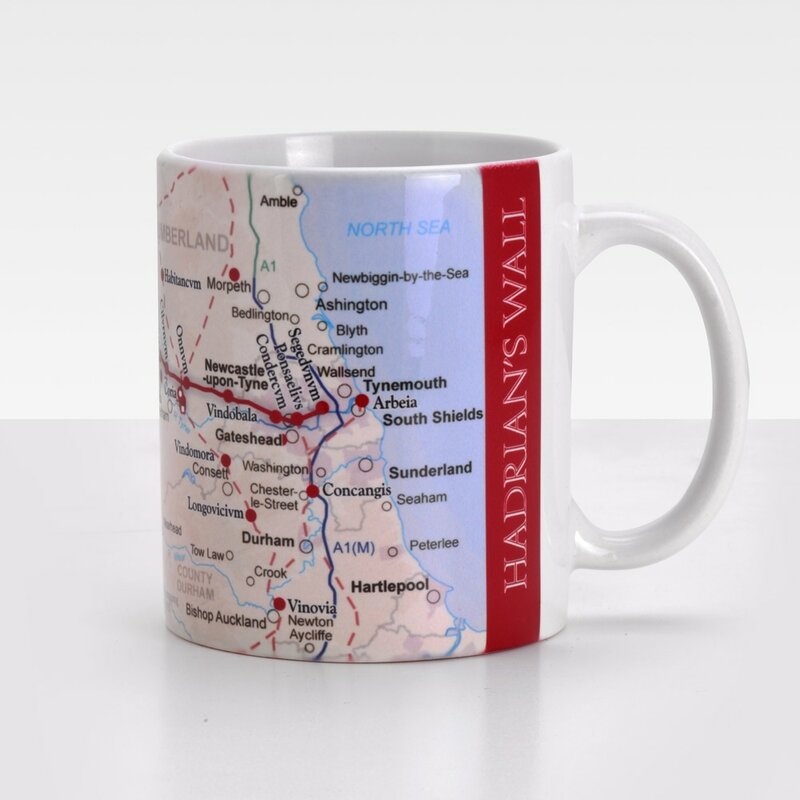 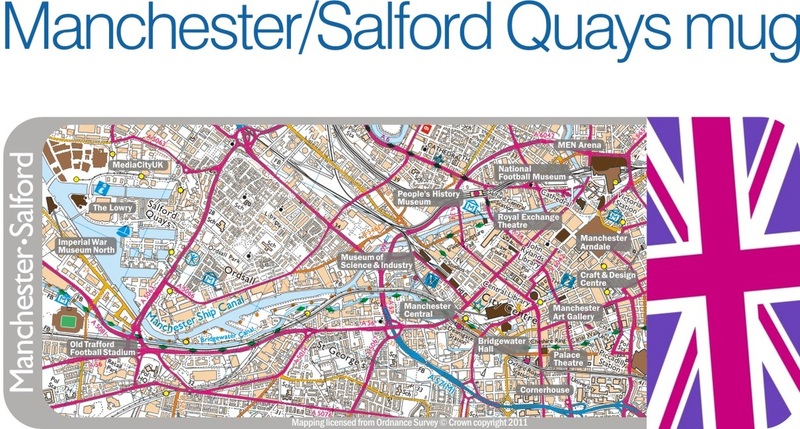 High quality ceramic mug printed with a genuine Ordnance Survey map of Manchester city centre, plus Salford Quays attractions, and Old Trafford football stadium.